Join the numerous finger amputation victims who have called attorney David Azizi for help in winning monetary settlements. David and his law firm have a 98-percent success rate in pursuing all common types of dismemberment cases. He’s a highly experienced lawyer who can be contacted anytime, 24/7, for a free consultation. The call is toll-free: 800-991-5292. David’s high rate of success at winning compensation for finger amputation injuries owes to several factors. Two of the major reasons are, first, his personal commitment to each case, and second, his thorough knowledge of all common finger dismemberment injuries. When it comes to amputations, there is no such thing as a small loss. Whether the accident causes the dismemberment of a toe or finger, a foot or hand, or a leg or arm, every such incident is traumatic. Any time a part of the body is lost, the consequences are lifelong and extremely stressful to deal with. David Azizi will pursue your deserved financial settlement with full commitment, even if the case involves fingertip amputation compensation. He does not see dollar signs for his law firm when the amputation involves a larger limb or appendage. He sees you, his client, and the difficulties you are experiencing due to someone else’s recklessness. David will pursue seemingly small cases with the same intense commitment he brings to every case. That’s one reason why David is so successful – to him, there are no small cases. Every client’s case is important. Los Angeles amputation lawyer David Azizi discusses the essential elements of taking legal action and how amputation lawsuits work in this audio episode. Play the podcast below. Click here for full transcription of episode. 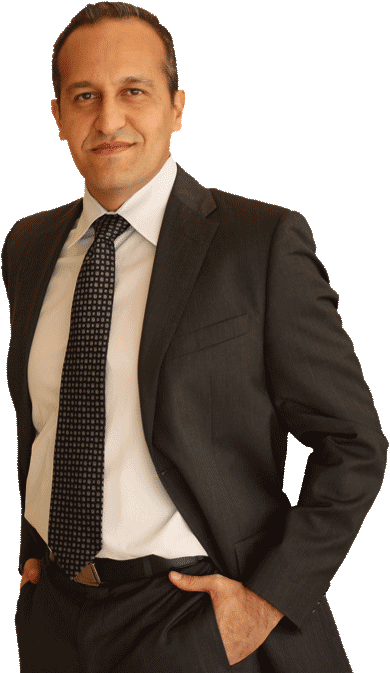 David Azizi’s success is grounded in his extensive knowledge, built over many years since he began practicing law in 1998, of the many typical amputated finger injury cases he has handled. So if you, or someone you care about, had one or multiple fingers amputated, be assured that David has handled such cases before. He knows the types of injuries involved and how such cases ought to be handled. As an Avvo-rated “Superb” personal injury attorney, David will get right to work on a detailed investigation of your particular incident. To preserve crucial evidence in your case, you should contact him immediately. One of David’s recent amputee finger cases involved a girl whose hand was caught in the electronic automatic doors of a Los Angeles Metro bus. As the child exited the bus, the doors closed on her hand, resulting in a partial thumb amputation. It is just one of a number of thumb amputation cases that David has handled. Photos of the child’s hand included here may be difficult to look at, yet the pictures emphasize what a tragedy it is for a young child to go through this. And, they reiterate David’s commitment to every client, no matter the age or injury. 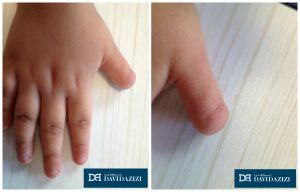 David has also handled cases for amputated index fingers, middle fingers, ring fingers, and pinky fingers. Regardless of the type of finger amputation, David understands the physiological effects as well as what legally must be done to maximize your settlement. 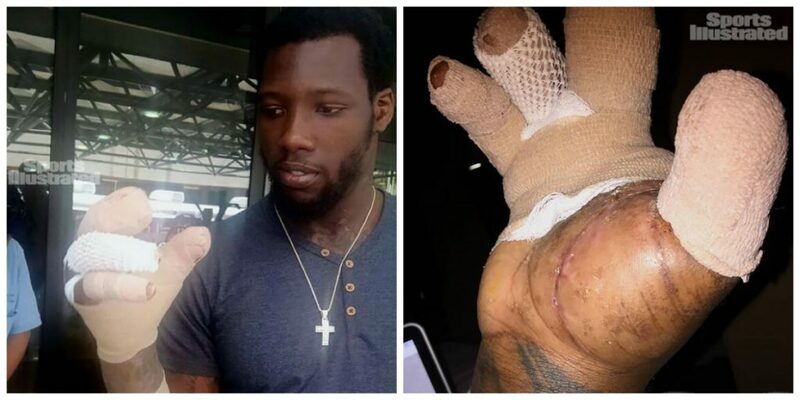 These particular photos are of the National Football League’s standout defensive end for the New York Giants, Jason Paul-Pierre. (No celebrity endorsement is implied.) He was severely injured in a fireworks accident on July 4, 2015; the photos are from his Instagram account and republished by Sports Illustrated. You can see that Jason has suffered a partial thumb amputation and a total index finger amputation. He wears finger covers on his remaining swollen digits. We wish Jason every success in coming back from his injuries. An amputated finger is a very serious injury that must be dealt with immediately, both from a medical and a legal standpoint. While you recover, leave the legal matters to us. Los Angeles residents have chosen David Azizi and his team for many years for amputated finger cases. They hire him because of his extensive knowledge of the many typical kinds of finger dismemberment. They trust him because of his commitment and attention to each and every case, no matter how small it might seem to another law firm. Contact him today, while the accident evidence can still be preserved, at 800-991-5292.